I do have a lots of Designers I admire for the moment but I have decided to share those three big Designers looks I like. The first looks are by Gucci, I absolutely love everything about those three looks. The looks are very classy and masculine which defines a lot my style. The colors are very correct, not too flashy but perfectly pale. The second looks are by Chanel, I choose them because I like the originality of the clothes, the fact that it is not only simple/everyday clothes but that you can tell that there is a story behind them. The third looks are by Dior, I am a big fan of blazers and black and white and that is most of the reason I have choose those looks really. The black and white dress mixed light pink, is absolutely Gorgeous. Do you like the looks ? If yes, what do you like about them ? If no, what are the reasons and what would you go for instead ? 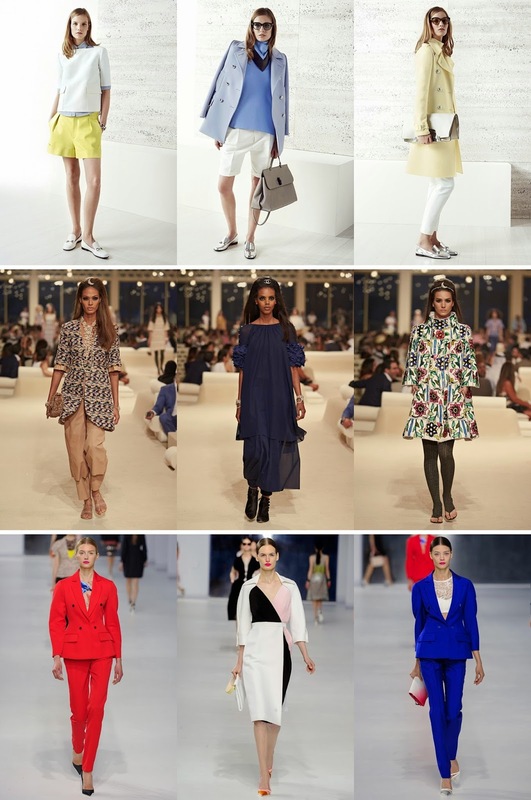 Very chic collections! Very inspiring! The Chanel looks are my favourite. If I suddenly became super rich I'd definitely have a wardrobe full of Chanel! All beautiful but my favourite are the Gucci. Just so effortless and classically chic. I love the Chanel looks the best!